1. We Bought a Zoo – I wasn’t expecting this to be so good! 2. Arthur Christmas – This was a really cute movie. 3. New Year’s Eve – I thought it was better than Valentine’s Day, which I also liked. This one has more of a storyline. 4. Horrible Bosses – Inappropriate, yes, but definitely humorous! 5. Bridesmaids – Also inappropriate, but extremely hilarious! 6. Super 8 – Eh. Not great. 7. 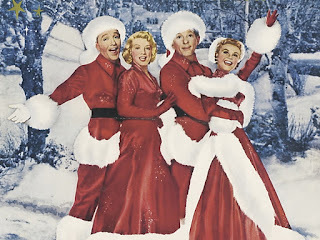 White Christmas - One of my favorite Christmas movies. 8. Bad Teacher – Eh. Not very funny. 11. Just Go with It – Predictable, but cute. 12. The Fighter – Eh. Not horrible, but not an especially likeable film. 13. Soul Surfer – A good family movie. I'm linking up with Thursday 13. Come join us! I am anxious to see The Help. Waiting on it to come on the movie channels! I love, love, loved The Help. Will be getting the book now for sure. As much as I wanted to love Super 8, it just seemed like re-hashed Speilberg stuff. Gosh I haven't seen hardly any of these. I need to get on the ball huh! LOOOVED Bridesmaids - sooooo funny!! I was so dissapointed in Bad Teacher. I got the unrated version & it was WAY over the top vulgar. Dumb! Have you seen Friends with Benefits yet? I really REALLY liked it. I thought it was funny & so cute. I've not heard of most of these. Love #7 tho. White Christmas is an absolute must every year. I loved Soul Surfer - her absolute faith and courage not to mention grace was fabulous!